This will surely tap into the one thing that’s sweeping America’s youth: reading long, elaborate, clearly fictional JFK conspiracy theories with no pictures. Yep, the studio jumped on the literally half-century old crime whose anniversary passed earlier this week as the best way to sell their movie that won’t be coming out for another six months. Joking and possible insensitivity aside, it’s not the worst idea, as one of the things missing from X-Men: First Class was a larger sense of history and the time period beyond simply Eric’s experiences in the Holocaust. The whole concept behind the X-Men is a group of progressive heroes matched by radical villains, and if the whole premise of the film is that someone is out to destroy mutants, they’d start with Magneto, who is attributed to bringing mutant kind into the spotlight for the first time in the early ’60s. The clip offered gives little more than still photos of Michael Fassbender voguing in an unforgiving killer and/or victim photo shoot, but no new footage to add to what we saw a month ago. 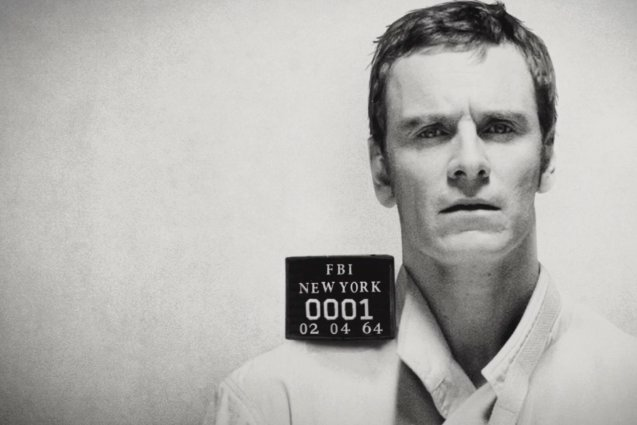 The only clue we get is that if Magneto was in fact imprisoned for killing JFK, he’s a known enemy of the state as early as 1963 and yet somehow figures out a way to escape capital punishment and live to the present day either as a fugitive or prisoner.